Carvoeiro property ranges from traditional whitewashed houses at the heart of the old fishing village to a selection of newer developments along the coast.The town has expanded outwards rather than upwards, so even in the newer Carvoeiro apartments there is still a pleasant sense of village life. 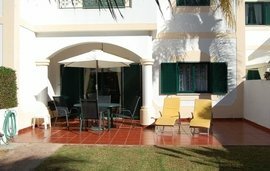 Holiday apartments in the town are very popular with international buyers. 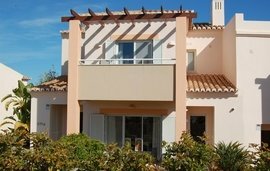 Carvoeiro villas are a popular choice, particularly for expat families, many with beautiful coastal views. The Carvoeiro town centre lies right next to the beach and caters to the international community, with its wide choice of shops, bars and restaurants. The town really comes alive in summer, especially when there is live entertainment in the main square. The coast and surrounding countryside provide plenty of opportunities for outdoor activities and watersports, as well as some magnificent caves and secluded beaches to visit. 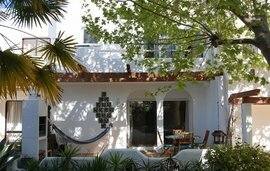 Let us assist you in finding your perfect villa, apartment, holiday home or investment property in Carvoeiro, Portugal. For more details, call us on +44 (0) 203 941 9800 or contact our estate agents in Portugal. Carvoeiro lies on the coast between Lagos and Faro, with excellent road connections along the A22 motorway to both of these cities. The international airport in Faro is just 45 minutes away by car. The magnificent scenery and spectacular beaches make Carvoeiro real estate a popular choice with international buyers looking for a holiday home on the coast. The thriving expat community in Carvoeiro is another big draw for international buyers who are planning a more permanent move. Carvoeiro is a friendly and welcoming community with a very cosmopolitan feel. The area around Carvoeiro has also benefited from a lot of investment over the last 15 years, providing funding for local schools, infrastructure and excellent leisure facilities.